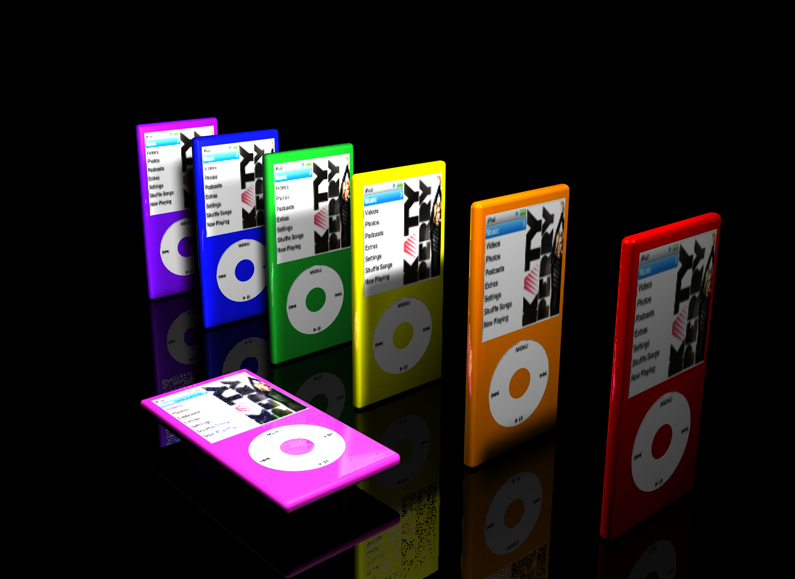 In todays session, I made an iPod using Cinema 4D and a bit of Photoshop. 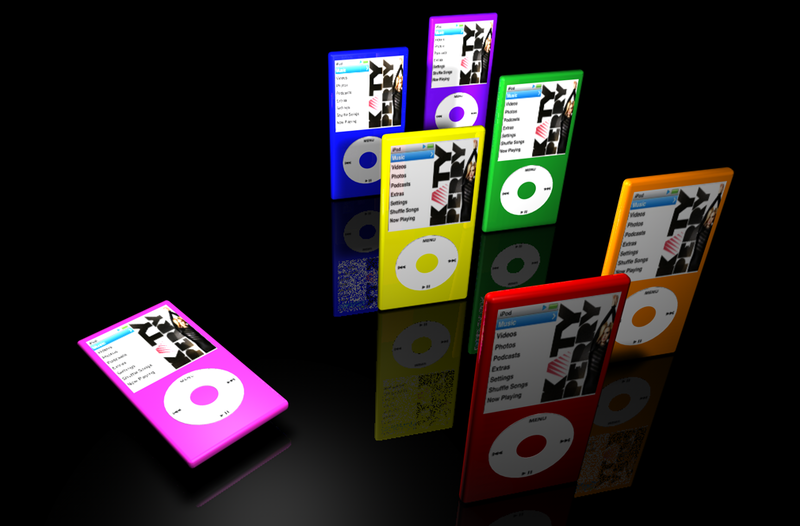 To start, I added a Cube, and changed the Size and Fillet of the Cube to form the base shape of an iPod. I then added a Plane Object to form the Screen of the iPod, I also added a Tube Object to form the Wheel of the iPod. I resized and repositioned both objects onto the base. I selected all of the objects and grouped them together into one by selecting Group Objects. 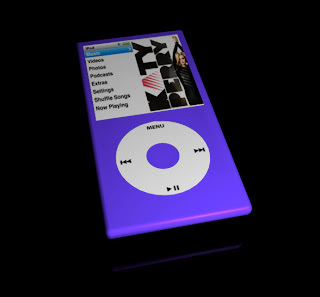 I then created a surface for the iPod to rest on by adding another Plane Object. and resized it to 1000m x 1000m. 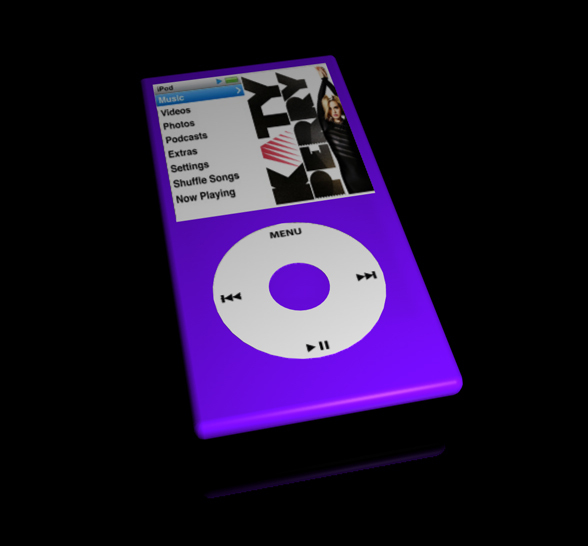 One Purple material, for the iPod colour. One Black material, for the floor. One textured material where I Uploaded a picture of the iPod Wheel. One textured material where I Uploaded a picture of the iPod Menu. Each Material had a Reflection of 20%. I changed the image of the iPod Menu and added Katy Perry's Single, [she is one of my favourite singers :)] on Photoshop. 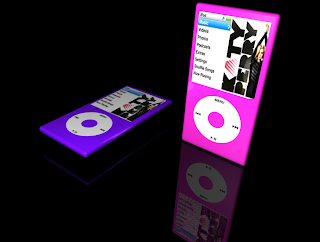 I did this by cropping the image of Katy Perry's album (to 113px & 168px) and pasting it onto the iPod Menu Image, replacing the previous album. I placed each material onto my objects. I then added a Light Object with an Intensity/Brightness of 125% and repositioned it. 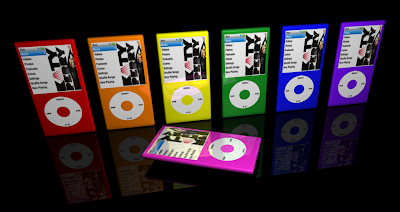 2 iPods. I copy and pasted my original image then rotated and repositioned it. I also changed its colour. 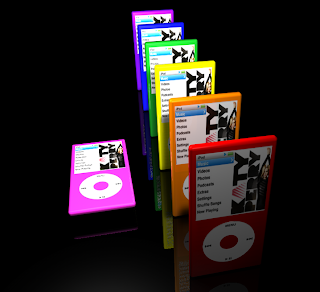 I copy and pasted many versions so I could added more colours. I also added a second light as due to the iPods being very close together, they cast too much shadow. Both lights were too bight so I changed their Intensity to 100%.